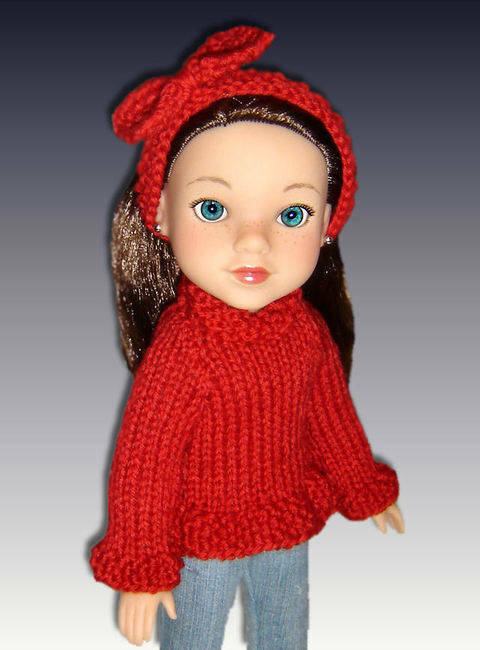 I love to knit, have been knitting for over 45 years. 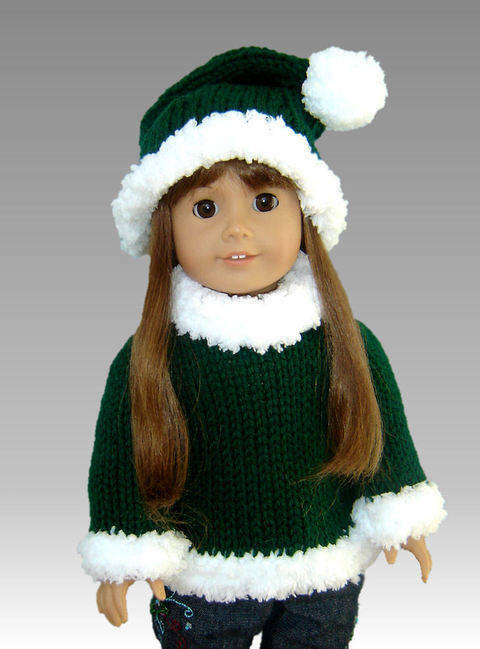 I also adore dolls, have since I was born, (not telling the years on that one). Combining two of my favourite things has been a lot of fun. 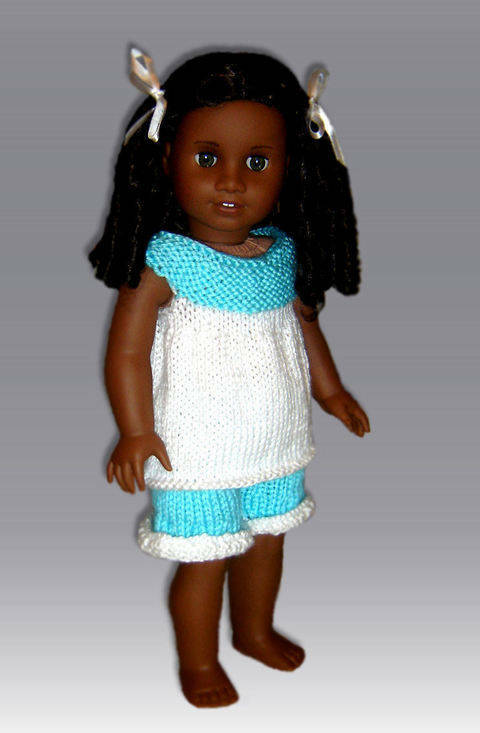 It makes me happy to think that little girls all over the world are playing with their dolls dressed in clothes their Nanas, Moms, Aunties and others have made just for them using my designs. 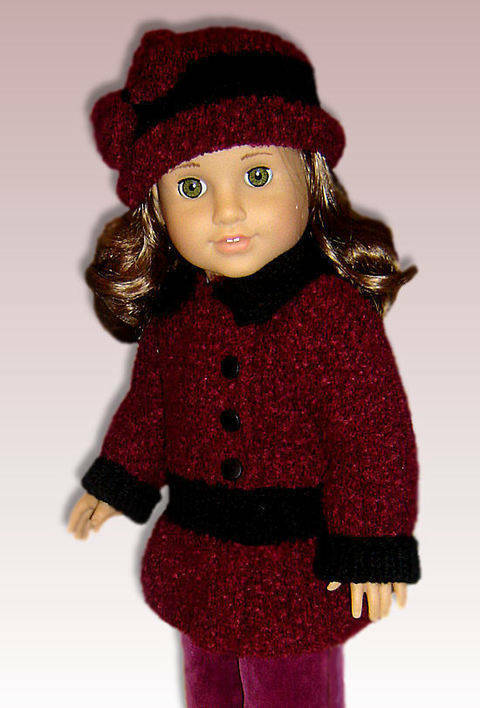 Making doll clothes is a great way to keep the "stash" under control. 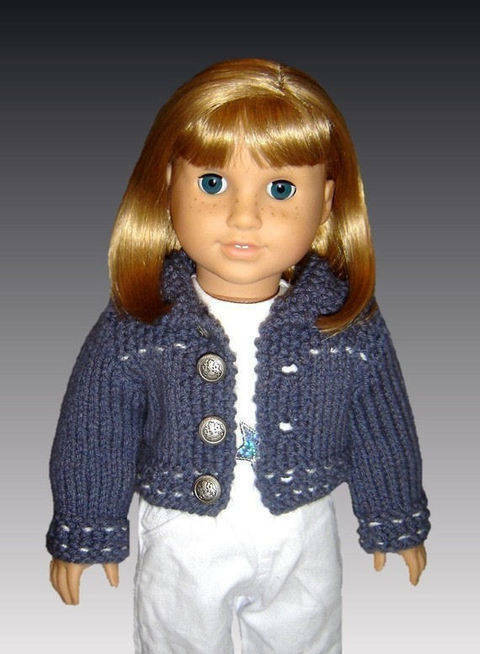 Those little balls that you think aren't big enough to make anything are usually big enough to make something for a little girl's special doll. I try to keep my designs on the quick side by using larger needles as you'll see in the "materials needed" section of the descriptions. 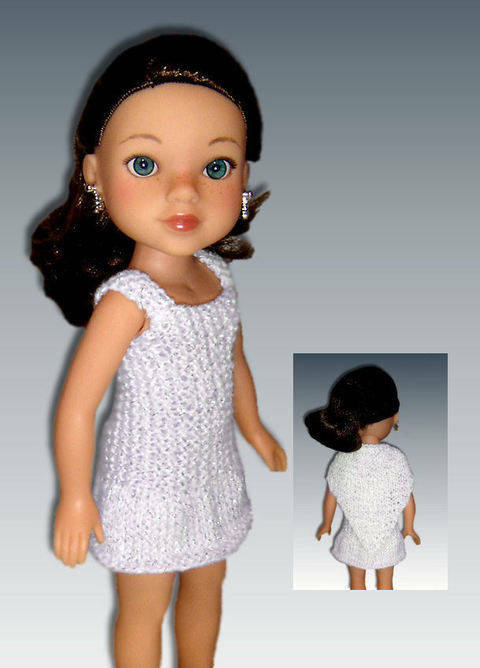 Many people believe that doll clothes have to be made on itty bitty needles to look good. Not so. 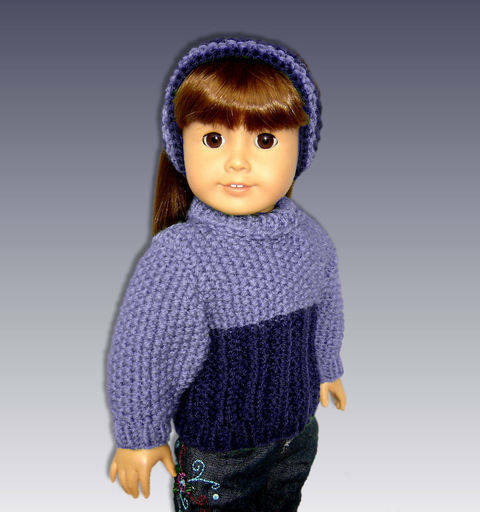 It's the fit of the design that makes the clothing look good, not the size of the needles. 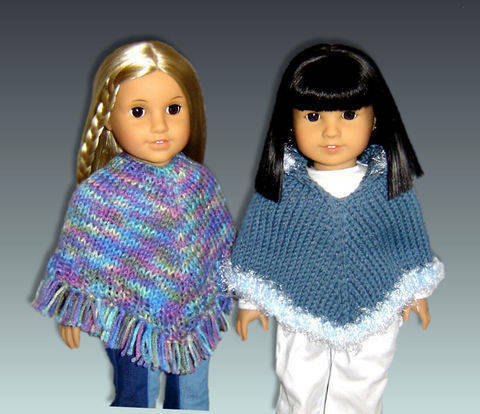 I hope you enjoy making these outfits as much as I enjoyed designing them. 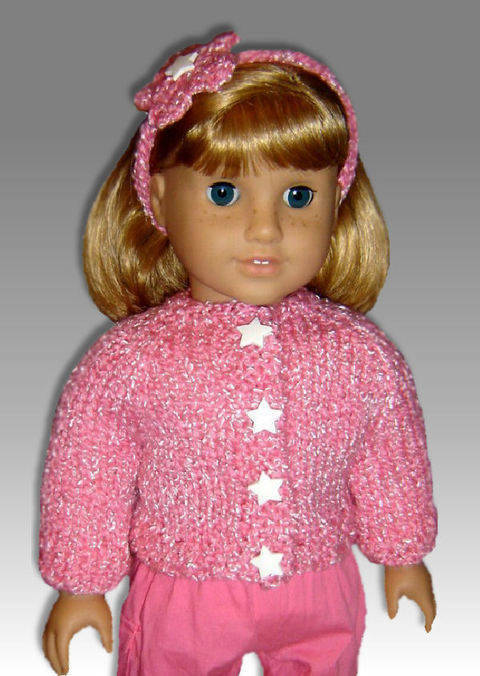 18 inch doll. Jean jacket and skirt. 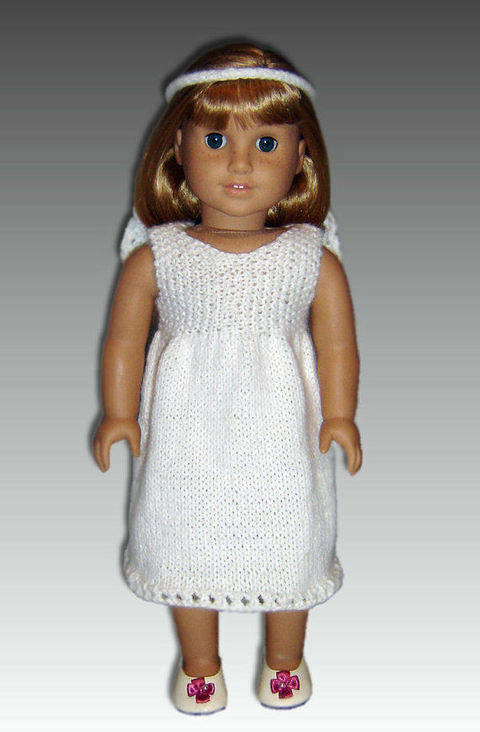 18 inch doll, first communion dress. 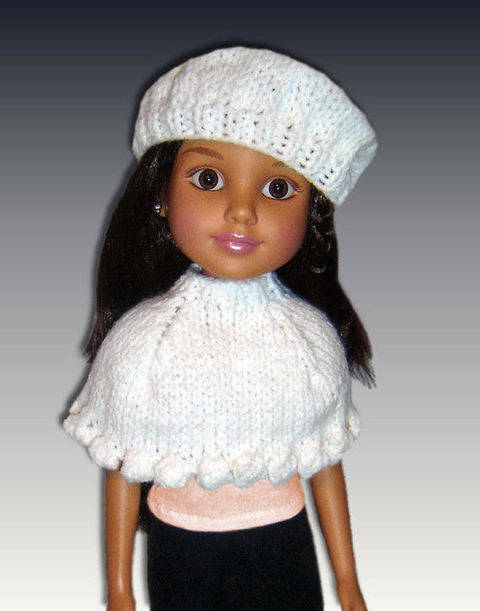 Capelet and Beret for 18" slim dolls. BFC Ink. 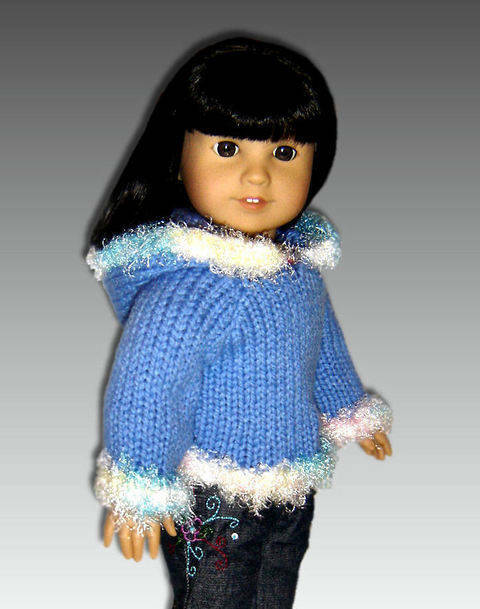 Hooded Seedstitch Jacket. 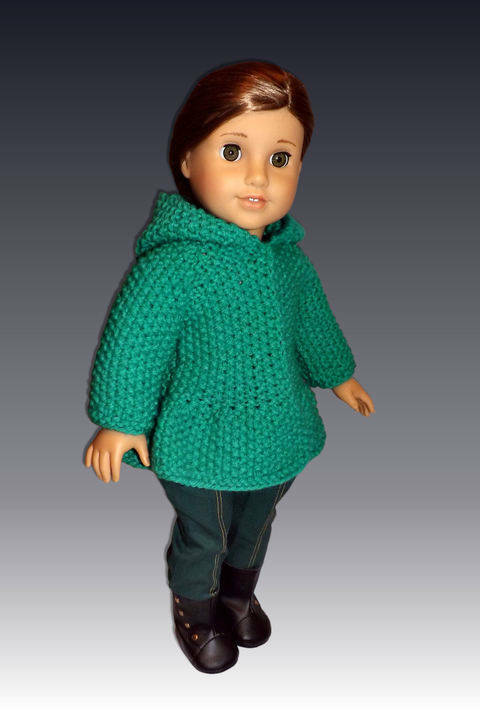 18" Doll. 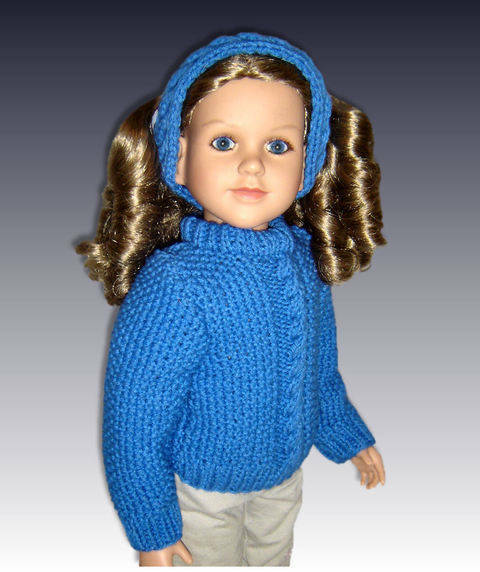 Cable Pullover Sweater, fits 23" dolls. 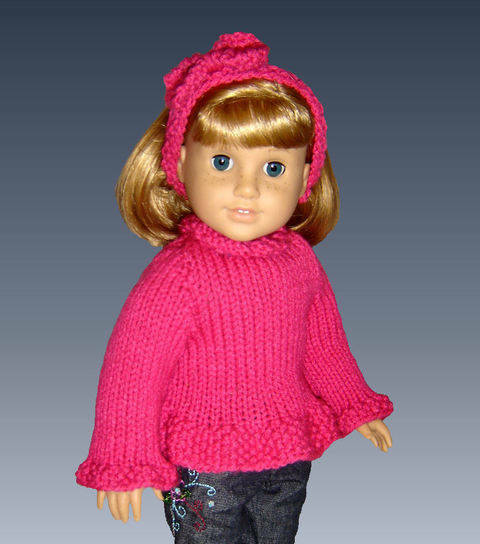 Ruffle edge doll sweater, fits 14" dolls. 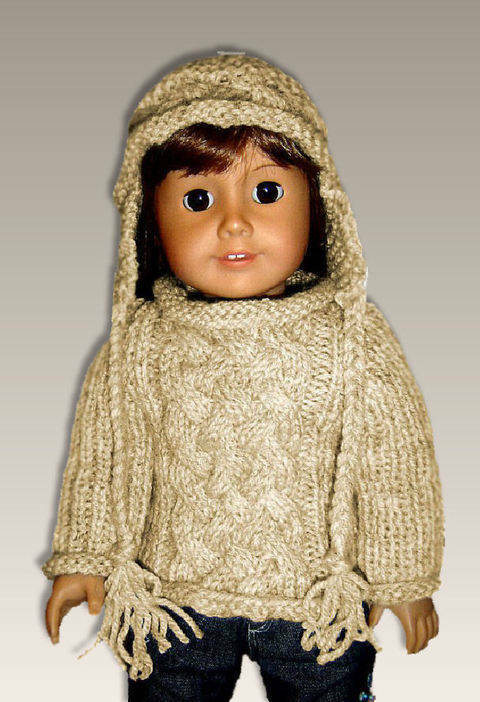 Seed Stitch Doll Sweater. 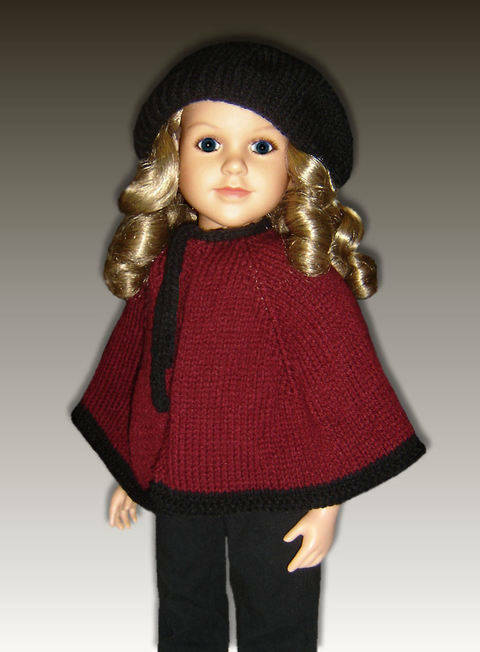 Fits 18 inch dolls.